As our world and lives become more and more complex, more and more people are choosing to opt out of the traditional image of the American Dream and are instead living the RV lifestyle . We are conditioned as we grow up to follow a certain path – school, job, home, family, wealth (stuff) and of course death. The object was to give our young better than we had growing up. 50 years ago, that was it – not many people broke that mold, and the ones who did were living FAR outside the mainstream. To be fair, 50 years ago that version of the American Dream was much easier to obtain and much more fulfilling once you got there. It took very little to measure yourself successful. But as the years have gone by, the Smiths and the Jones’ have turned this dream into something resembling more of a nightmare, and so much harder to obtain then it was for the Cleavers. Once you obtain all of this stuff, you then need to maintain it. Quarter acre lots and McMansions are lovely, but not everyone wants to spend their weekends mowing all that grass. All the time required to obtain and maintain leaves us with precious little time for family, and THAT’S what this is all for, right? The end game of course is to be able to retire and spend as long as we like in the mountains, exploring the National Parks, or at the beach. That is why in recent years, more and more people are choosing to find a new American Dream – to trade the attainment of stuff for shared experience. This is to change our paradigm and redefine the meaning of wealth. True success now comes with a life well spent – with family and adventure. After all there is a whole world out there. Why should we create a schedule that precludes us from enjoying it (outside a week or 2 each year)? Why not just go out there and LIVE in it? Why should we slave away to spend a week at Yellowstone and then proudly cast the pictures onto our 70 inch TV screen? Why not go spend a MONTH at Yellowstone looking at it on the biggest screen imaginable- live and in person? Of course to do this means giving up the ingrained mindset that calls us to chase wealth- to live, in a word, cheaply. This is not to say that no-one gets wealthy living the RV lifestyle, it is simply to say that this is no longer the point of it all. The point becomes to find comfort with less – to focus our time and attention on quality time spent and experience. So again we find ourselves in a place where it takes very little to measure yourself successful. Or you could “upgrade” to living in an RV. You pay some amount of cash for this home on the road, and set off on a journey. That initial cost is probably similar to what you’d spend on a down payment on a house. That is, if you would have lived in a $500,000 house, you buy a $250,000 rig. If you’d have lived in a $150,000 house you buy a $35,000 RV. And yet others find their way into single digit thousands and work on them as we go. Once you figure THAT out- just think about the lifestyle. Roaming the mountains, National Parks, beaches whenever and for as long as we wish. Hmmm… living the live that others aspire to live after they retire? Doesn’t sound too “underclassy” NOW does it? 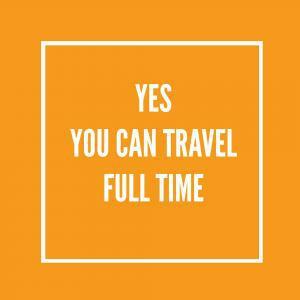 Many people think you have to make a lot of money to travel full-time, but that’s not the case. 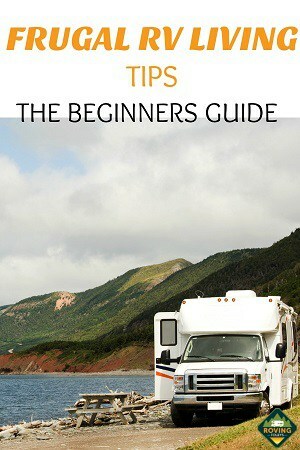 In fact, full-time RVing can be as expensive or inexpensive as you choose. It can all depend on the type and year of the RV you purchase, how often you travel, where you park, and the activities you do in the places you visit. The first hurdle of course, is to find a way to earn a living. The good news is that there are as many ways to make money on the road as there are people living the RV lifestyle. No matter what your skill set you can find a way to work. Online sales, blogging, work camping, or traveling as a professional doohickey maker, there is a road occupation for you. Research is the key here. Get online and talk to folks who share your skills or interests and you will find a path to income. So then we look at costs. How do we SAVE money while on the road? After all, living with less means spending less. Luckily with the sheer number of people living on the road these days, there is a lot of knowledge out there on how to live on less – starting with the purchase of the RV itself. There are a few different ways to get yourself outfitted with a rolling home once you have decided to go full time in an RV. One of the first and best ways to save a bundle on the cost of an RV is to buy used and renovate. There are a good many people who buy older RV’s and then renovate in order to put their own stamp on them. A perfect example of this are Hudson and Emily, a couple who renovated a 17 year old Class A into a really beautiful home on wheels. They travel full time and blog about their adventures. Their ingenuity and passion shows just what you can do with an older rig. Another great way to go is to buy a retired school bus or other bus and gut it so that you can mold it into whatever you want. Ben and Meagan of The Wild Drive took an old prison bus and started from scratch creating a mobile home that allows them to travel at will, and they did it while paying off a mountain of debt. Their total build cost was about $26,000. That is less than half the cost of a comparable new Class A rig and it is built specifically to taste. If you have chosen to buy a purpose (but already) built RV for your full time travel, then the first decision is whether to buy new or used. There are plenty of arguments for going either way depending on your own situation. We bought a used travel trailer camper first, before realizing our mistake and then trading it on a new 5th wheel after only 2 weeks on the road! We had no issue that the travel trailer was used, it just didn’t fit our needs. Here are some things to consider when shopping new or used. New rigs are more expensive and will depreciate rapidly as you drive them off the lot. SO depending on the deal/ financing that you got, you may well be upside-down on your purchase for a while right after purchase. New or newer RV’s should come with a manufacturer warranty, so repairs in the short term should be covered by the warranty. Read the contract and warranty thoroughly to make sure you are understanding the repairs situation- especially if you plan to go full time. You don’t want to be halfway across the country only to find out that the warranty requires you to be at your dealership for a necessary repair. New RV’s are going to have more and better amenities then their older counterparts. Much like cars, the manufacturers include more bells and whistles and new technology each year so if you want the latest and greatest- look at newer RV’s. Obviously with an older rig you will save money, but then you will also have to deal with the wear and tear that someone else inflicted on your unit. Make sure to inspect used rigs carefully- maybe even hire an inspection done for you if you don’t know what to look for. Thousands can be saved by requiring the dealership to make certain repairs – even cosmetic- to make sure you are getting the best value for your dollar. While older RV’s can be a great deal- especially if you plan to renovate anyway, make sure you understand the age restrictions for the parks that you plan to visit. Many parks will not accept rigs older than 10 years old for instance. You may save a fortune only to be blocked out of some parks that you want to visit. The biggest risk with a used RV purchase is hidden damage. Make sure again to inspect your rig carefully or hire a professional to inspect for you. Issues like water damage and mold can be easily hidden by cosmetic means if a seller chooses to do so, and you will be the benefactor of a big problem. Ask sellers for maintenance logs and dealers should be able to explain exactly what their process is for inspecting the used RV’s that they sell. RVs aren’t cheap, no matter how you slice it. Even a modest travel trailer can cost tens of thousands of dollars, and if you’re looking for something a little bit more luxurious, you could be facing a price tag as far north as the $500,000 mark. But don’t worry! There’s an RV out there for every travel style and every budget. 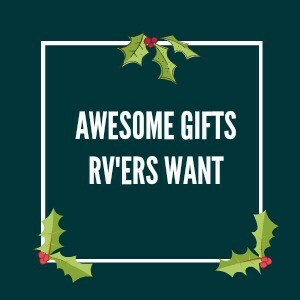 Doing the research on what specific style, make, and model of RV you’re looking for is the first step, and then you can start to figure out the specifics about which rig to actually buy. 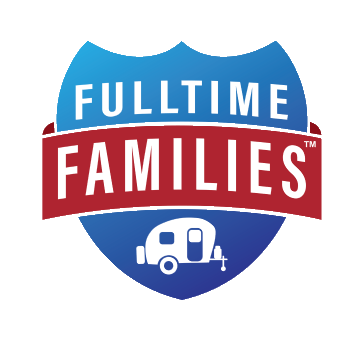 When deciding to make the change to full time RV living, most people have a ton of questions about how much things cost. SO lets take a look at some of the most common questions to give you an idea of what to expect and some of the areas that you can work on saving money. What is the average price for RV campsites? RV Sites, like hotel rooms, vary greatly in cost. Location, taxes, amenities can play a big part in the overall cost. A beach front RV site in South Florida for instance will cost dramatically more than a state park in rural Tennessee. Generally speaking a site will cost between $20 and $80 per night. Weekly rates typically are around the cost of 5-6 nights. Monthly rates can be a big saver if the park offers them and you are willing to stay a month. We almost always do a monthly. We prefer to take out time in each area we visit, to get to know the area, meet locals, try the food etc. In fact we have been known to stay longer at certain places ………like beachfront in Florida. How expensive is RV living? Again, depending on your preferences you can live moderately well for around $1500-$2000 per month, or you can splash out for nicer accommodations, more costly entertainment and adventures and spend $5000 or more. It really depends on your means. How much does a RV cost? Where RV’s are concerned, there is a rig for every budget. The manufacturers turn out so many new RV’s every year that the lots for used ones are packed. While newer rigs tend to rise in price every year, the used ones do not go up as much. What are the fuel costs? Fuel costs have fluctuated so much over time that it is a difficult thing to put a number on. We have a diesel pick-up which is wonderful for pulling our large 5th wheel up and down hills, but not so wonderful at the tank. It gets about 8 mpg when we are hauling the rig. A long haul across the USA can cost $600 in just a few days so we try to keep the trips shorter and visit places in a geographical area rather than bouncing long distances. We also try to fill up at around ½ of a tank because, well, it feels better and we can shop prices a bit. If you are going to live full time on the road, where you are domiciled can have a significant impact on your monthly output. Taxes, insurance, vehicle registration fees, etc can all be reduced significantly by changing states. Domicile simpley means the state in which you get your mail, register your vehicles, and pay taxes. There can be significant tax and investment impacts depending on where you domicile, so consult your financial advisor before you decide to domicile in a given state. Before we started our RVing journey we lived in CA which is a very high cost state both for income taxes, RV/car registration and insurance. When we went fulltime we severed our ties with CA and switched our domicile to SD which reduced those expenses significantly. Our state income tax went from one of the highest in the nation to ZERO while our RV/car registration dropped by around a factor of 5! Talk about instant savings! Another potentially large cost of full time RV living is where you stay. Campgrounds have risen quite a bit in cost even since we started traveling in 2015. Giving some thought to where you stay and for how long can help quite a bit. RV Membership Clubs are a great way to save some money over the year. While the upfront cost may be high, the savings as you go can more than make up and net big rewards down the line. Clubs like Thousand Trails, Passport America, and Escapees are favorites among the full time traveling crowd. Heath and Alissa Padget have been long time road warriors and their article “Which RV Memberships are the Best?” Lists all of the most popular membership clubs, how they work and the pros and cons. It is a worthy read. Our particular method of saving on campground fees is to simply stay longer. We typically book a month at a time at a given park and choose parks that offer a good monthly rate. You do have to be careful here to avoid what we call “residents parks.” These are parks that have a large number of long term renters who live full time at that park. These parks can tend to have older rigs and may not be well maintained. Read reviews carefully. I use Campground Reviews and Google Reviews to check in on parks. I travel most of the time — staying overnight for free in RV-friendly parking lots. Whenever I need a break from life on the road, I rent a spot at an RV park and stay put for a month or more. Living this way I’ve found that (even with the high cost of fuel) RV travel is easily attainable — even on a modest income. 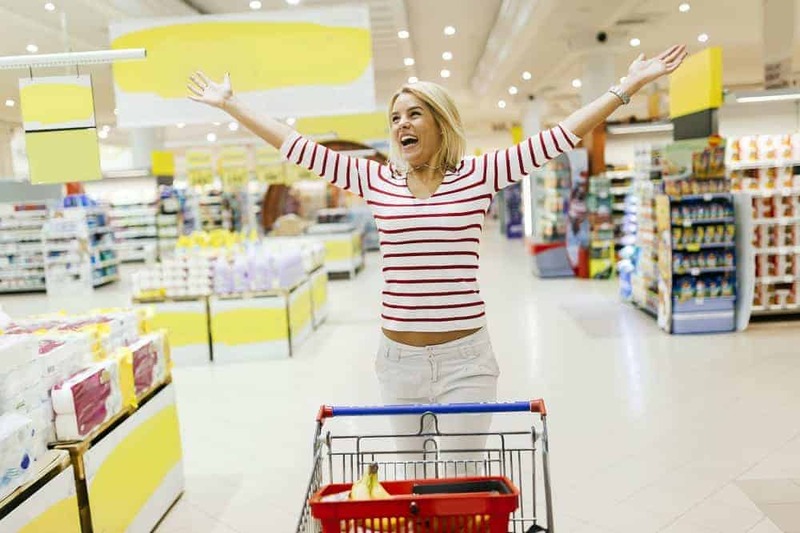 Whenever possible (and space permitting) bulk shopping can save money on your grocery bills. Using warehouse clubs like Sams Club or Costco will save hundreds of dollars each month for a family living on the road. Another way we have found to save money is to look for free or inexpensive ways to spend our time. Tourist activities can rob you of cash fast (especially with kids) so it is wise to really plan where you want to spend your money, and look for alternatives the rest of the time. A National Parks Annual Pass is a necessity. It costs $80 for the year but gets our family into ALL national Parks, and Monuments for free. At a typical entrance fee of around $30 this is an absolute MUST HAVE. We also hold a membership at a museum that includes reciprocity in both the Association of Science and Technology Centers (ASTC) and the Association of Zoos and Aquariums (AZA). This membership gets us free or greatly reduced entrance to hundreds of Science Centers, Museums, Zoos and Aquariums all over the world. We find places nearby almost everywhere we visit. While we use the Boonshoft Museum of Discovery in Toledo, any Center that is part of the program will work. Shop annual pass costs to get the best deal. If you are visiting Chicago, Boston, Dallas, Atlanta, Houston, Denver, NYC, Orlando, San Francisco, Seattle, SoCal, Philadelphia, Toronto, or Tampa you should check out City Pass. These booklets are one low cost and include huge discounts at multiple major attractions in each area. For absolutely free entertainment, we like to get out to nature. The National Parks, State and local parks, and libraries are some of our favorites. The library is not only a great place to spend time, but also a great place to find out what is going on in the area. County, state and National Parks are paid for using your tax dollars. They are yours to enjoy, so take advantage. Let us know if we missed anything? How do you save money on the road?